I enjoyed playing with Legos as a child, but I never bought Legos for the children because: 1.) I felt that the Lego “kits” that are sold severely limited creativity. 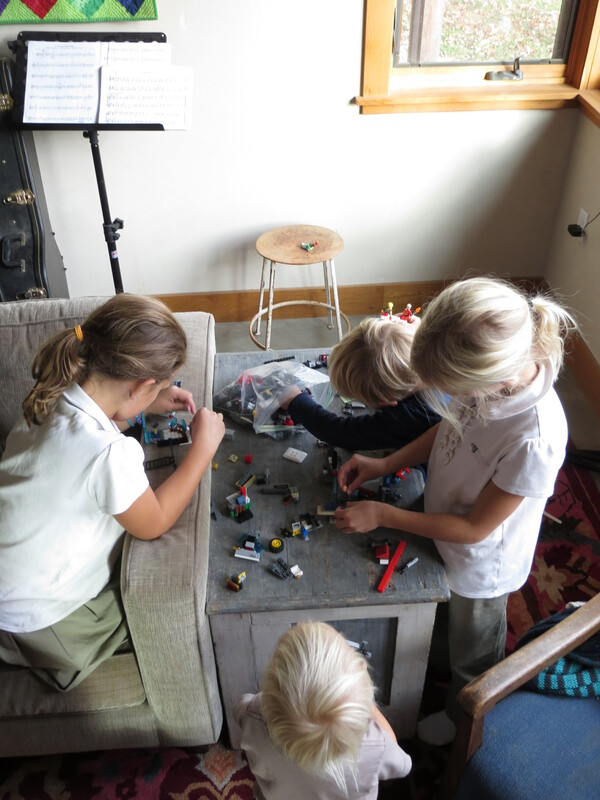 They only come with the pieces to build a certain spaceship or motorcycle and did not include blocks to do anything else – and most children feel compelled to build the kit and not try to do something else; 2.) They are expensive and you really do need a bunch of “kits” to have enough blocks to allow for ease of creativity; 3.) I hated the Legos marketed for girls (and my oldest two children are girls) – the hair salon, pet groomer, etc. for some of the same reasons – only (many, many) specialized pieces to build the kit, expense, and mostly pink and purple pieces – totally lame (forgive me if you and/or your child love them!). And, honestly, there are no Legos marketed to both genders. The Legos marketed toward boys tend to be violence based (Bat Man, villains, ninjas, fighter planes/spaceships, etc. ); 4.) as difficult as it is to keep my house clean, or even liveable, the thought of having thousands of Lego pieces that would need to be picked up on a near non-stop basis, on top of the normal mess, made me shudder. A friend of ours, who is a builder and who’s children are in school carpool with us, came over last week to check out a project we have for him (fixing one of our bathrooms). He needed to go through Hythe’s room to look at the problem area and he noticed that we did not have any Legos. He was a flabbergasted because Legos are the toy that his son, who is nearly the same age as Hythe, plays with all the time. The next day, we were met at the carpool pick up and his son who had filled a gallon ziplock bag with his Legos to give to Hythe. His son was so excited to pass on from his large collection to a friend the pleasures of building. And, as it happens all of the children LOVE the Legos. Since there are no kits, they are free to be creative in their building. It has been fun to watch them become absorbed in building with these little blocks. I totally agree with you. As some of my older kids had already Legos ( given by the family), I stored them in a piece of furniture with 10 drawers ( for the cleaning part ). I got rid of the “instructions”. Now and then, they play with it creating and building their own stories. Yes! I’m glad we don’t have instructions. But, my goodness, the many pieces. Your storage sounds good!